If you’ve been falsely served with a protective order, there are legal steps you can take to clear your name. Here are a few points to guide you in your defense against a protective order. Courts commonly issue protective orders (sometimes called restraining orders) to give security to people who feel threatened. Protective orders are an important safety measure for victims of abuse, violence, aggressive behavior, and stalking. However, there are two sides to every story. Being on the wrong end of a protective order is a stressful and damaging experience. Some protective orders treat the respondent as though they were guilty before they even step into a courtroom. If you’re served with a protective order, you should take steps to protect yourself. In Virginia, a protective order is sure to restrict your freedom and movement. It can also curtail certain rights, such as your right to possess a firearm. Further, violating a protective order is a serious crime, punishable by up to 12 months in jail and a fine of $2500. Finally, protective orders can show up on background checks, and may affect your ability to gain or keep employment. Thankfully, there are legal methods to fight an unjust protective order. If you feel you’re the target of an unfair protective order, or that the conditions of the order are unfair, you can choose to fight the order in court. Below, we’ll list a few steps you should consider if you’re planning to fight a protective order. If you’d like to read more on protective orders in general, check out our ultimate guide on the subject. Generally speaking, protective orders are used in two separate cases. First, individuals can use protective orders to legally protect themselves from abusive family members. Second, any individual can use a protective order to shield themselves from any other individual who threatens them with bodily harm. Generally speaking, family protective orders are slightly different from general protective orders because they can come with additional stipulations. For example, they might grant one person access to the family home, car, pet, etc. while the protective order is in place. An emergency protective order generally lasts only 72 hours and is issued by a magistrate or judge. A preliminary protective order gives protection for only 15-days, or until a hearing can be scheduled. A permanent protective order can be issued for up to 2 years. If you intend to fight a protective order, it is important to recognize why you have received the order. After all, a protective order is a legal document issued to protect the petitioner’s health and safety. If the charges against you are untrue, or the restrictions seem unfair, you have the legal right to present your side of the case. The most important thing to remember is that, even if the allegations are untrue, you should still respect the order until you can present your case in court. Violating any type of protective order can have serious consequences, and may result in criminal charges. Further, the notice requirements are different for each type of protective order. Emergency and preliminary protective orders, for example, can be issued ex parte (without notice to the person against whom they are being issued). For this reason, if you suspect that a protective order has been issued against you, you should always confirm with your local courthouse before attempting to contact the other party. If you find that a protective order has been issued, you should cease all contact immediately. A notification of the protective order (except for emergency and preliminary protective orders, as noted above). Notice of a court hearing regarding the charges issued in the protective order. The option to defend yourself against the charges. However, since protective orders are part of the public record, future employers can see the order on your record during a background check. For this reason, you should always take a protective order seriously. Make sure to prepare for your hearing so you can defend yourself against any accusations. Even if some of the core facts are true, you have the right to defend yourself in court. Further, putting forth a proper defense can often lower the penalties of the order. The hearing is your chance to show inconsistencies or exaggerations in the petitioner’s story. If you don’t defend yourself, or hire a lawyer to defend you, nobody else will. Once you’re certain you’re the target of a protective order, gather evidence that will aid you at your defense hearing. You’ll want to pull together any physical evidence you can, such as clothing, photographs, videos, or anything else relating to the specific charges against you in the protective order. Do not dispose of or destroy these items, as they can help show a true picture of what really happened. Discarding key evidence may appear suspicious in court. Additionally, collecting all relevant documents and records, such as letters, emails, phone records, and GPS records, can aid in your defense. When defending against a protective order, you will want to show your innocence in court. To the court, physical evidence is often preferable to verbal statements. However, this should not dissuade you from enlisting the help of witnesses or anyone who is able to help you prove the charges are wrong. Witness testimony can be a valuable asset in showing the court what really happened. You want to consider all of your options, and pursue all useful defenses. While it’s easy to make personal attacks on the opposing party, doing so rarely helps your case. Judges don’t want to hear name calling, they want testimony and evidence. The only things judges are interested in are the facts of the case, not your opinion of the other person. Has a strong motivation to fabricate their story (such as during a custody battle). Even if you have a strong case for one of the above, you should still talk over such a defense with a lawyer before bringing it to court. In court, you should focus on presenting the facts as clearly as possible. Allowing the judge to form their own unbiased opinion of you can help greatly in protective order hearings. Remember, when a judge hears two eye witnesses give completely different testimony, he or she needs to decide who to believe. More often than not, they will believe the calm and well-behaved person over the one attacking the other’s character. You should always obey court orders, even when you disagree with them. There can be both civil and criminal consequences for disobeying any order, including a protective order. The first thing you should do after a protective order is filed against you is to read all the terms of the order. Judges can set different terms based on the specifics of the case, ranging from a full “no contact” order to no phone calls or visits. Remember that in Virginia, failure to obey a protective order is a crime, with possible jail time and heavy fines. Until you are able to attend a hearing to defend yourself, it is in your best interest to stay quiet and gather your defense. Violating a protective order can also have both civil and criminal consequences. You could go to jail, end up fined, or lose other rights. Even friendly overtures, such as peaceful visits or phone calls, violate protective orders. Put more simply, “no contact” really does mean no contact, and the petitioner can use any violation against you in court. Restrictions against behaving violently, forcefully, or threateningly. Extremely limited, or no, contact between you and the petitioner. Any additional restrictions necessary to fulfill the above two conditions (such as moving out of shared housing). Requirements to release property, or to pay certain bills. 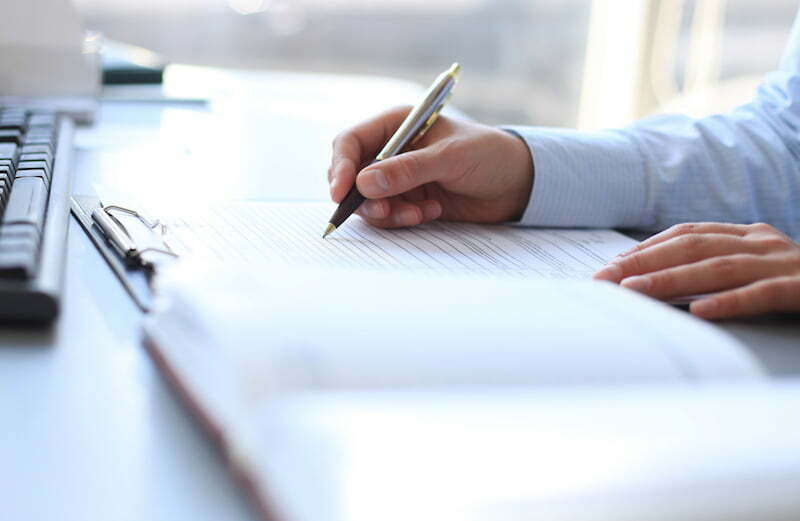 Should your protective order contain some of these additional conditions, you need to make sure you follow them to the letter. Failing to do so can also count as a breach of the protective order. If you fail to appear at the court hearing, or fail to present a defense, the judge will only hear one side of the story. Judges are better able to tailor an order when both sides of a case put their best evidence forward. If the judge only hears the petitioner’s side of the story, they are more likely to make the order unfair or impractical towards you. Though you should always comply with court orders, attending the hearing is your best chance to have the case dismissed, or to customize any possible restrictions to fit the realities of the case and your life needs. As with most legal matters, the best practical advice is to speak to an experienced lawyer. Legal cases are usually fairly complex, and having an attorney on your side yields better results than entering the courtroom alone. If someone serves you with a protective order, you need to know your legal options. There are ways to clear your name and overturn the charges you’re facing if they are fraudulent. Further, a good defense can minimize the adverse consequences or length of time the order will remain in place. Scheduling a consultation with one of our attorneys could help you to organize your defense, clear your name, restore your reputation, or otherwise reduce the negative effects of an order. How Do I Change My Child’s Name in Virginia?